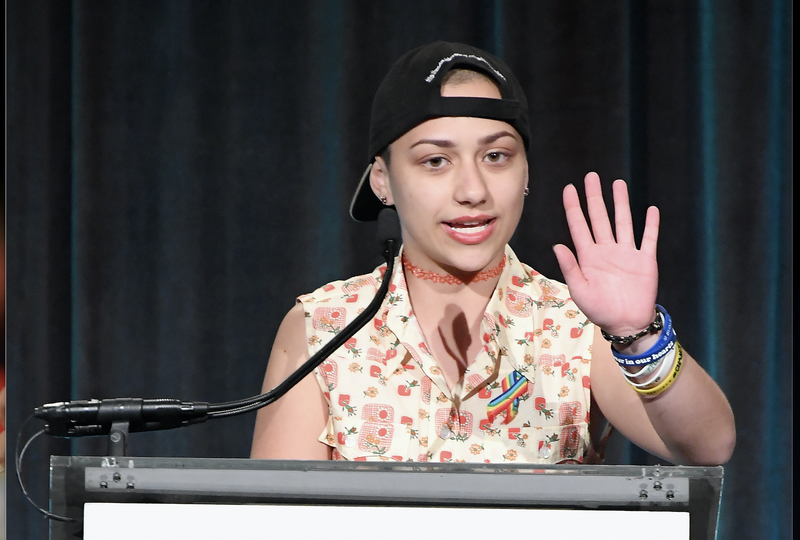 Activist Emma González speaks onstage at the Center Dinner 2018 at Cipriani Wall Street on April 19, 2018, in New York City. He also bigged her up again minutes later, saying that he was inspired by her. However, González, perhaps in response to West, wrote less than two hours later that James Shaw Jr., the man who took the gun from the Tennessee Waffle House shooter earlier this week, and raised nearly $200,000 for the victims of that mass shooting, was her hero. Can’t argue with either of them. More Emma, less Donald, OK, Ye?